Happy “day after Christmas”, and “clean up/put stuff away” day! 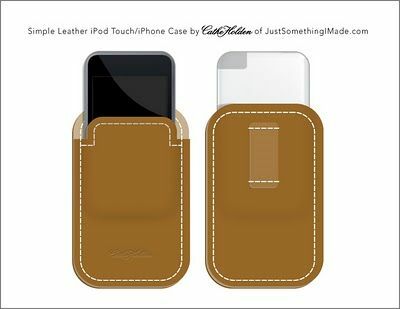 I’m just a little late for Christmas gifting with this Leather iPod case that I found at the Just Something I Made blog – however it looks so easy and quick to make that perhaps you could make a few to give out at your New Years’ Eve party. The phone case is something everyone could use – and Cathe Holden says she’s used a “repurposed” leather purse to make some. WOW! Check out Good Will or second hand stores for some good deals there! Thank you Cathe for the great idea and tutorial! 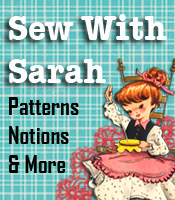 While you’re gathering leather pieces, why not visit the SewingWithLeather site and check out the SewingWith Leather book, patterns and kits. Inside the book you’ll also find resources for FREE leather pieces. Can’t get a better deal than FREE when you’re working on leather projects!